When Greg Manteufel fell ill last month, his family initially thought he had a bad flu. But then the sickness got worse. His body was covered in bruises and he had to be rushed to the emergency room. Somehow, the West Bend man had contracted Capnocytophaga canimorsus — a bacteria found in dog saliva. Within days he was fighting for his life. Doctors amputated his feet, then the lower part of both his legs. Manteufel's infection was probably caused by something millions of people experience every day — a dog lick. It was probably his own pet, WITI-TV reported. Manteufel's wife, Dawn, told the station he had been in perfect health. Then, on June 27th, he started feeling sick. "It hit him with a vengeance. Just bruising all over him. Looked like somebody beat him up with a baseball bat," Dawn Manteufel told the station. According to the federal Centers for Disease Control and Prevention, the bacteria is commonly found in the mouths of humans, dogs and cats. "These bacteria cause opportunistic infections, which means they have to have the right conditions to cause an infection, such as in a person with a weakened immune system," the agency said. The agency noted it can particularly affect people with weak immune systems, such as heavy drinkers, those who have had their spleens removed, and those with HIV or cancer. The bacteria can be spread to people through a bite or after close contact with dogs or cats. As many as 74 percent of dogs have the bacteria in their mouths. That number is 57 percent for cats. "Infections are more often linked to dog bites or dog contact," the agency said. 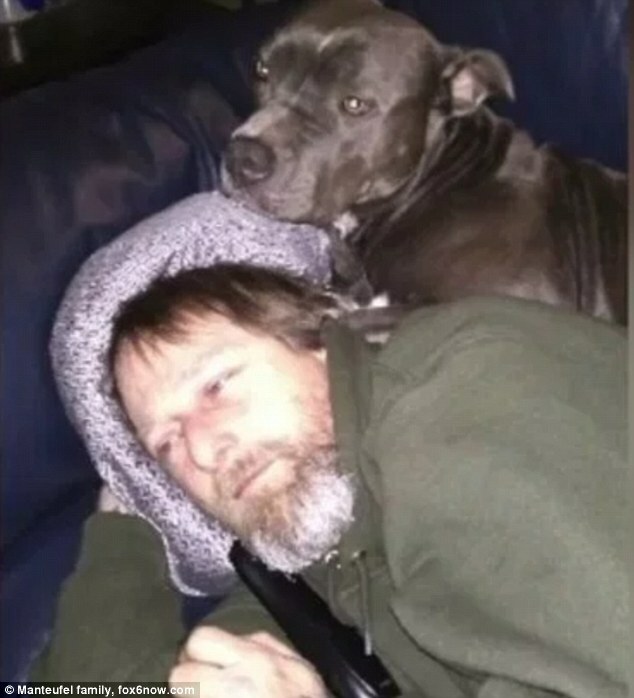 Once infected, Greg Manteufel's body started to go into septic shock, according to a GoFundMe account created to raise money for his medical expenses. 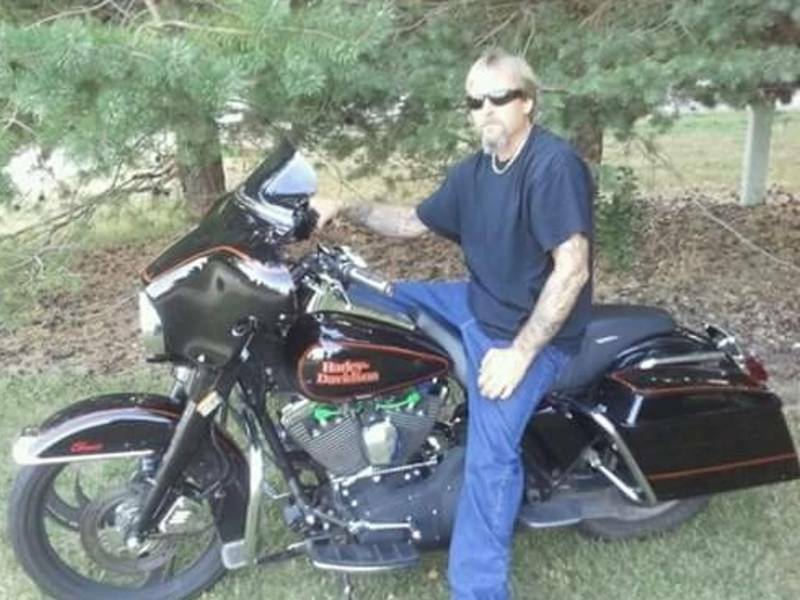 He was admitted to a hospital and doctors confirmed the dangerous bacteria had caused him to go into septic shock. "This type of bacteria comes from the saliva of dogs. This infection in his blood triggered a very severe response on his body," Dr. Silvia Munoz-Price, an infectious disease specialist with Froedtert and the Medical College of Wisconsin, told the station. Manteufel's blood pressure fell. His limbs lost circulation — fast. "Sometimes it decreases so much that the arms and legs just die," Munoz-Price told the station. Days later, doctors were forced to amputate. 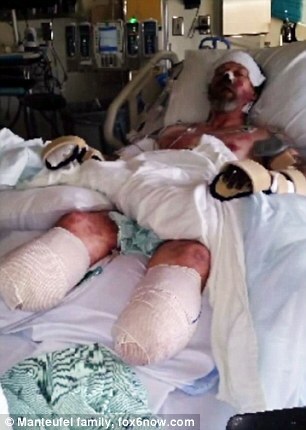 "Within days of being admitted to the hospital while still fighting for his life, Greg first lost both feet, after a second surgery to remove more damage on legs, they amputated thru both Knee caps," the GoFundMe post said. Surgery was then planned to remove parts of both of his hands due to "extensive" sepsis damage. His whole body and tissue were affected by the bacteria and sepsis. He underwent two surgeries on both of his arms: one to remove all his fingers down to the middle of his palm. The second to further amputate all the way to his mid-forearm on both arms. Doctors told the family Manteufel's nose will also need major repairs. He'll need plastic surgery to rebuild a new healthy nose. "Greg is going to need several more surgeries, lots of healing time and his family by his side to get thru this life changing event," the post said. Manteufel is keeping his head held high through the horrific process — " he is taking all the news like a beast," the GoFundMe post said. His recovery will be long and expensive though, so the family is turning to the community for help. So far, they've raised more than $12,000 out of their $25,000 goal. "Greg's recovery will be a very long process and he will need his family by his side, they will need help financially to be able to be with him during the coming months with surgeries as well as waiting to be fitted for leg and hand prosthesis which will allow him to become independent again," the post said. If you'd like to donate to the Manteufels, you can do so here. Munoz-Price told WITI-TV most people will never have to worry about contracting the bacteria from their dog. Manteufel simply had bad luck. "More than 99 percent of the people that have dogs will never have this issue. It's just chance," she said. He got licked almost to death.